Another month comes to an end, and a new spring month is about to start. Let’s see what happened during that month in my life. I created my wishlist for March, and fell in love with a pair of shoes. I had my first spring purchases, which were filled with pastels, and happy spring colors, and at the end of the month, I did some more shopping. 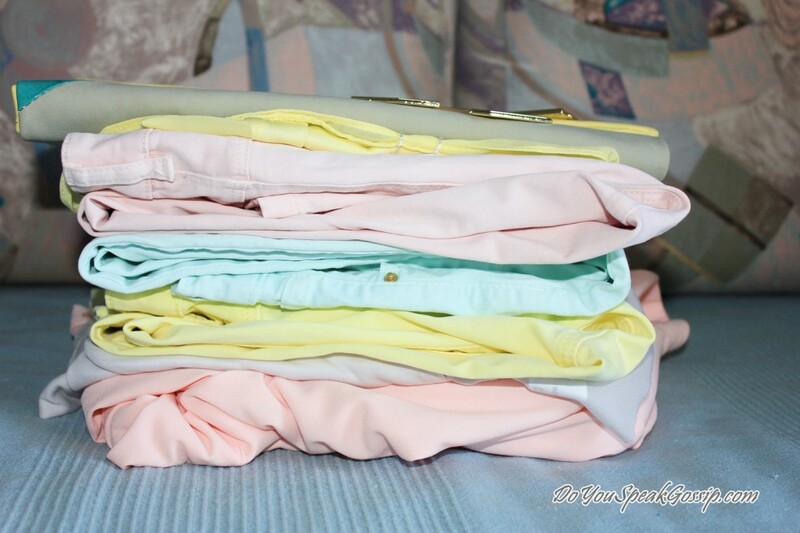 Can you tell I’m obsessed with pastels? I’ll show you what I got in more details in one of my next posts, really soon. But you can see another preview of my March’s purchases, on my Facebook, as I was trying out together some of the new stuff I bought, a few days ago (something like a “test outfit”). In the meantime, I also ordered a pair of flats online from my wishlist, and I’m already in love with them. They’re really cute, and you can see them here, if you haven’t already. They are from the brand Café Noir, and I ordered them from a really great online store called Spartoo.gr. I started a diet again, and I’ve already managed to break it many times, for something like this. 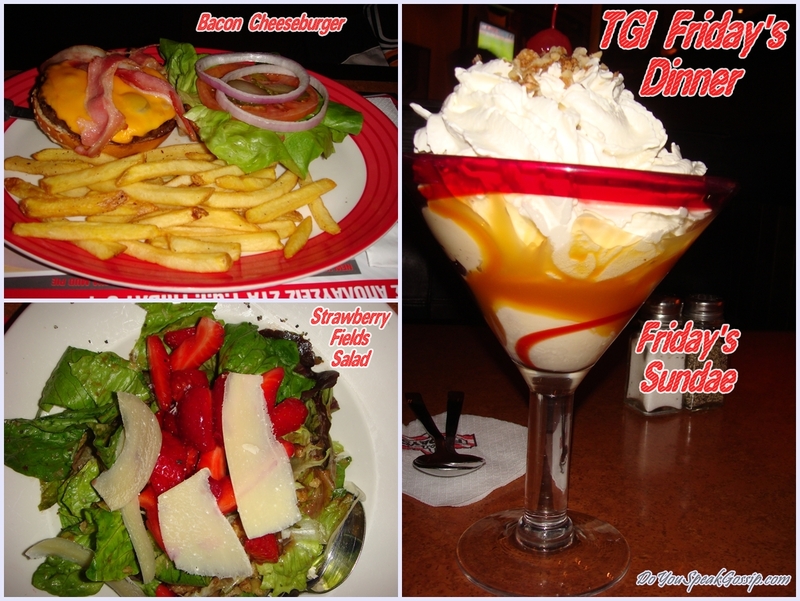 A delicious dinner at TGI Friday’s with a Strawberry Fields Salad for me, a Bacon Cheeseburger for the boy, and a delicious Friday’s Sundae. All for 12.90euros! A true bargain in my opinion, as we had a free dessert coupon! Woohoo! Of course you know me, I’m a huge food lover, so this wasn’t the only time I broke the diet, and neither the only time I went to TGI Friday’s this month. What else happened during this month? Well, I took a few outfit photos for you, and managed to actually post some of them. Clockwise to the center: My Little Black Dress, Last winter outfit, Never too late for a bit of burgundy, Lucky Stripe, and First days of spring. Lastly, a few days ago, on March 25th, it was a Greek national holiday, as it’s the day we celebrate the Greek Revolution. Every year, that day we have school and army parades, to honor that day, and after that we eat fried codfish (bakaliaros in Greek), and skordalia (made by combining crushed garlic with a bulky base—which may be a purée of potatoes, walnuts, almonds, or liquid-soaked stale bread—and then beating in olive oil to make a smooth emulsion-source). So this is what happened during March! Tell me what you think! P.S. 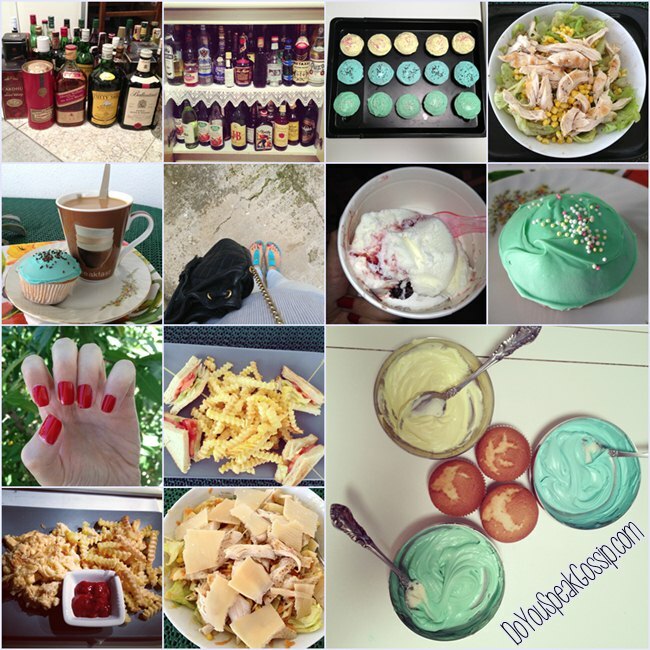 As you may have already seen on my sidebar, I finally joined both Fashiolista, and Pinterest. So if you’re interested, you can follow me there too. Although, I’m still figuring things out. I bet you had a great week,hon!Have a fab weekend! Thank you sweety! Have a fab weekend as well! katoula recently posted..Spring has Sprung on my Jacket. hahah Yes it is, but I still want more! 😀 I’m obsessed, can’t help it! Sovara milas? edw eixe sinefia kai krio aera oli mera simera! Zilevw!!! It seems as though this was a good month for you! 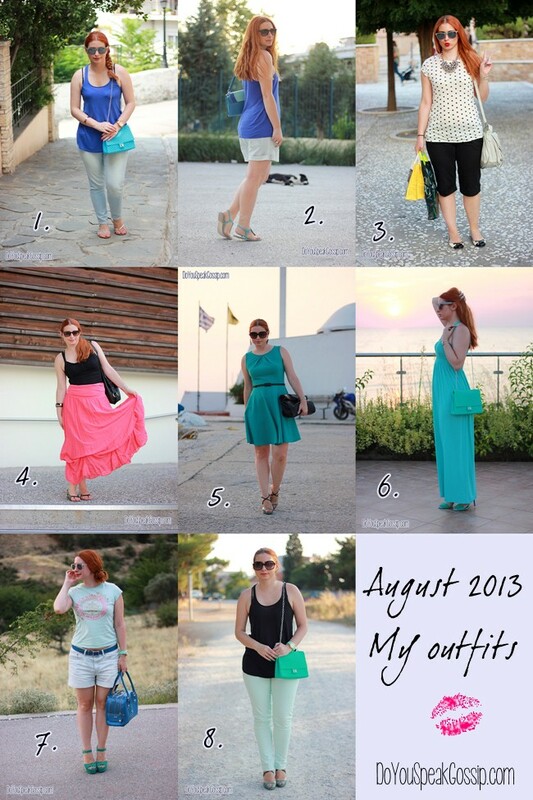 Love the outfit pics! Τη σαλάτα με τις φράουλες την είχα δοκιμάσει επίσης στα Friday’s και από τότε έφαγα κόλλημα και φτιάχνω τη δική μου version κάθε Άνοιξη! Λατρεύω τη χρωματική παστέλ παλέτα της 1ης φωτο! na ksereis oti einai 12 i wra kai mou anoikses tin oreksi me tis photos sou kai den kanei!! 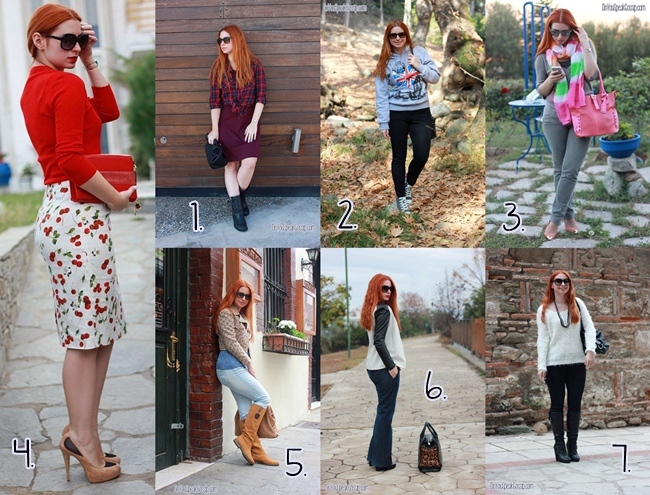 !I salata einai i agapimeni mou!Poly wraios minas gia sena sta outfits sou! good for you! you look fabulous! and happy spring. I love this post honey. Everything looks so delicious and beautiful. Thank you so much for your comments ladies! The FB pic looks amazing, love the pastels together, they look great with the shoes you’re wearing, love it! Skordalia sounds really yummy (I’m a fan of garlic) so I’ll see if I can make it this month! Thank you! All items that I was wearing at that pic, are new. You’ll soon see my new buys in a post. If you’re a fan of garlic then you should definitely try it, and if you combine it with codfish/bacalao it would taste even better. 😉 Search for both skordalia with mashed potatoes, and walnut skordalia, to see which one you’ll like best. This is such a cute idea. I love all of the pics as they are so fun. Never had bakaliaro, but it sure looks yummy. Thank you! It’s a fried fish (codfish/bacalao/bakaliaros) in this case, with a blend of potatoes and garlic, or walnuts, bread and garlic. You can find many recipes online if you want to try them. They are delicious! Thanks for the suggestion, M. I think I just may try. I’m always cooking something and the bakaliaros sounds divine!